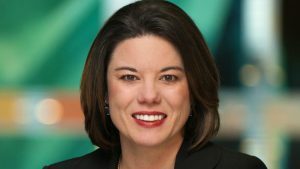 Rep. Angie Craig is a former executive at St. Jude’s Medical Center and is now representing Minnesota’s 2nd District, one of the nation’s most competitive congressional districts. Angie draws from her background outside of politics and her strong work ethic to focus on opportunities for working families and the middle class. Angie is focused on high-quality public education and debt-free college, as she believes that good education is an equalizer for people from different economic backgrounds. Angie has served on the board of Women Winning, a progressive organization that supports gender equity and the woman’s right to choose, and is a strong advocate for LGBTQ equality. She currently serves on both the House Agriculture Committee and the House Transportation and Infrastructure Committee.